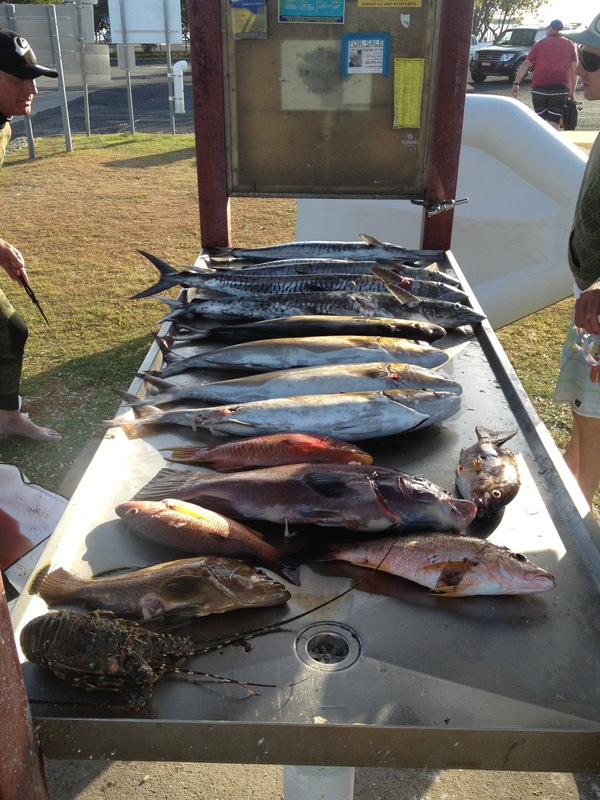 With reports of clear water near the islands off Brisbane last week, we were super keen to get out spearfishing. You remember finding nemo and the East Autralian Current that takes him and his friends all the way to Sydney? Well that’s the current that affects the water clarity. It runs from Fraser Island, which is a couple of hours North of Brisbane, all the way to Tasmania which, believe it or not, is still part of Australia. South Easterly winds work agains the current and seem to spread out that nice clear water (as I understand it). Northerly winds do the opposite. Of course Saturday brought in some strong Northerly winds. It was good for those who wanted to go kitesurfing (Ryan), but meant that by the time we got out on the boat on Sunday the water was not so clear. We saw a tiger shark just before getting into the water at our first spot. Just before the second spot we saw a hammerhead shark. Then there were the usual locals we see regularly. It’s safe to say I wore the shark shield. Sharkiest place on Earth! !